Dozens of local people, who had bought scratch cards, lost the chance to potentially win thousands of pounds after the cards were invalidated following a burglary in which more than 2,000 cards were stolen. 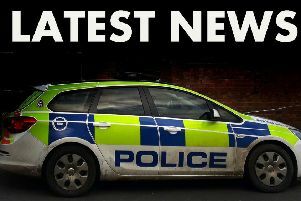 Jonathan Simons, 32, of Faldos Way in Mablethorpe, had previously admitted burglary and theft of £2,379 worth of cards and was for appearing for sentence at Skegness Magistrates’ Court yesterday (Tuesday) following a probation report. Dan Pietryka, prosecuting, said that 3.45am on June 16, Simons had smashed the window of the Paper Rack in Seacroft Road, Mablethorpe with a wooden post and had stolen a card dispenser and £2,379 worth of cards. He said blood left at the scene lead police to Simons and he was arrested. He told officers he’d had an argument with his girlfriend and had gone out and smashed the window. The court heard that Simons, who was said to be addicted to cards, collected £177 worth of winnings from the cards, with which he had bought more cards - but did not win any more. Mr Pietryka said lottery owners Camelot had cancelled the entire batch of cards from which these particular ones had been taken, so that people who had legitimately bought cards from the same batch had had winning cards cancelled. Mitigating, Terry Boston said Simons suffered from a series of mental health issues. Magistrates sentenced Simons to a 12 month community order with an electronically-monitored curfew ordering him to stay at his home from 8pm to 8am every day for two months, and to undertake 15 days of rehabilitation. He was also ordered to pay £566 in compensation for the broken window, the damage to the dispenser and the winnings he had made, as well as £85 in charges.